We polled Fredd members about their summer reading habits, and the votes—over 95,000 of them—are in. Guess where 63% of respondents will be doing their summer reading? (Hint: It's not at the beach.) Check out more summer reading revelations below! J.R.R. Tolkien once wrote, "If more of us valued food and cheer and song above hoarded gold, it would be a merrier world." This summer, take Tolkien's advice. Put aside your hoarded gold, gather up some friends, and start valuing your food. The following cookbooks can help. From decadent bacon chocolate chip cookies to delectable spicy honey and habanero shrimp, there's a little something to inspire every palate. Bon appétit! 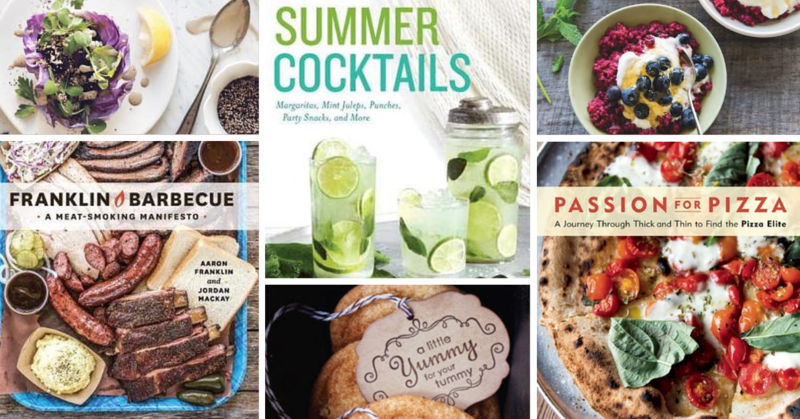 Have an irresistible summer recipe? Share it with us in the comments! 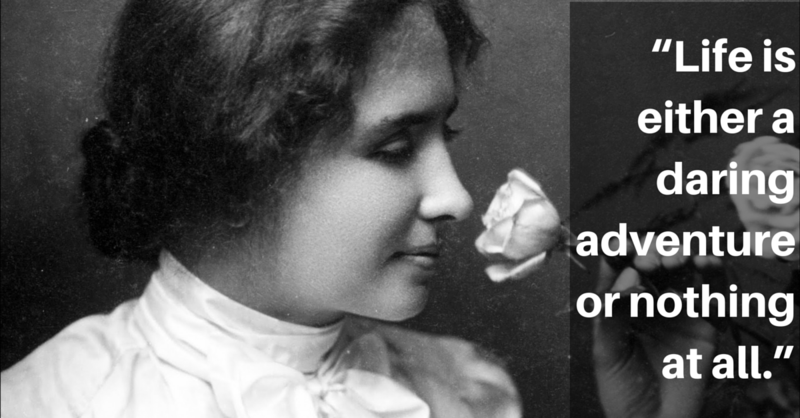 June 27, 1880: On this day, Helen Keller was born in Tuscumbia, Alabama. She was a happy and confident baby, precociously starting to talk at 6 months. "Then, in the dreary month of February," Keller wrote in her autobiography, The Story of My Life, "came the illness which closed my eyes and ears and plunged me into the unconsciousness of a newborn." Her family doctor called it "brain fever." (Modern experts believe the illness was likely scarlet fever or meningitis.) The fever finally passed, but when it did, she was left, at 18 months old, permanently deaf and blind. In the face of such adversity, Keller persevered, earning a bachelor of arts degree at the age of 24—the first deaf-blind person ever to do so—and going on to become an author, lecturer, and political activist. Read on for words of wisdom and encouragement from one of the most inspiring women in history. 1. "I wonder what becomes of lost opportunities? Perhaps our guardian angel gathers them up as we drop them, and will give them back to us in the beautiful sometime when we have grown wiser, and learned how to use them rightly." 2. "One can never consent to creep when one feels an impulse to soar." 3. "Life is either a daring adventure or nothing at all." 4. "The best and most beautiful things in the world cannot be seen or even touched. They must be felt with the heart." 5. "When one door of happiness closes, another opens; but often we look so long at the closed door that we do not see the one which has been opened for us." 6. "Although the world is full of suffering, it is full also of the overcoming of it." 7. "Keep your face to the sun and you will never see the shadows." 8. "Never bend your head. Hold it high. Look the world straight in the eye." 9. "What we once enjoyed and deeply loved we can never lose, for all that we love deeply becomes a part of us." 10. "I would rather walk with a friend in the dark, than alone in the light." 11. "Everything has its wonders, even darkness and silence, and I learn, whatever state I may be in, therein to be content." 12. "Literature is my Utopia." If "books are a uniquely portable magic," then libraries must be one of the most magical places on earth (and librarians must be magicians). 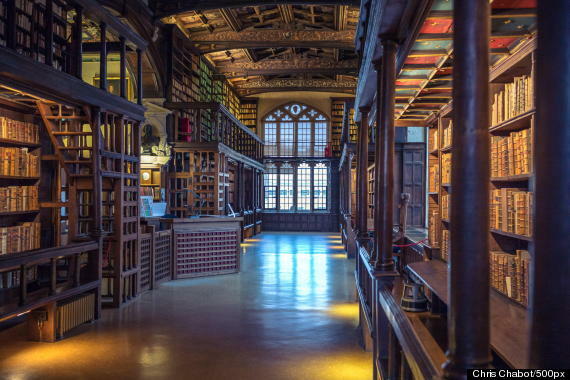 Oxford University's Bodleian Library certainly looks the part. This historical institution—and part-time Hogwarts stand-in—is a must-see for any traveling book worm. If it isn't on your book bucket list already, we think we can change your mind. Reason #1: It has over 11 million printed items. Not to shame your local library, but we're betting your usual book haunts can't quite compare to Bodleian's veritable army of tomes. Among the 11 million items to browse are a rare copy of Shakespeare's First Folio, unbound and unrestored, along with the largest collection of pre-1500 printed books in any university library in the world. Reason #2: This is what it looks like on the outside. Be still our bookish hearts. 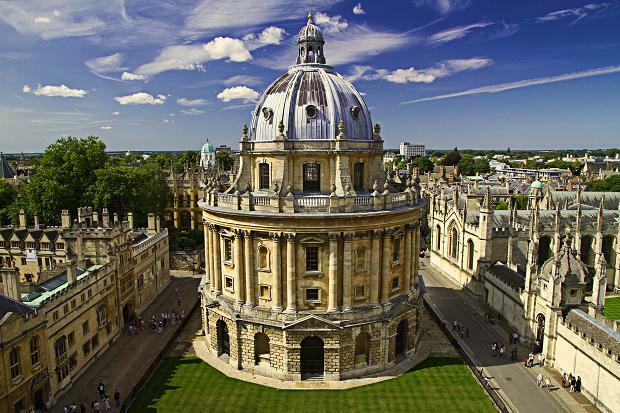 The image above is of Radcliffe Camera, which serves as a reading room for the Bodleian (because the Bodleian is so massive that architectural wonders like this are used as a "room"). Reason #3: Its history goes back to the fourteenth century. While the Bodleian Library officially opened to scholars in the seventeenth century, the collection truly began with Thomas Cobham, Bishop of Worcester, in 1320. At the time, all of the books were chained to the wall to prevent theft. With generous contributions from Humphrey, Duke of Gloucester, and Thomas Bodley, the library was refitted and re-opened under the name Bodleian Library on November 8, 1602. Reason #4: You may have seen your favorite fictional wizards here on the big screen. 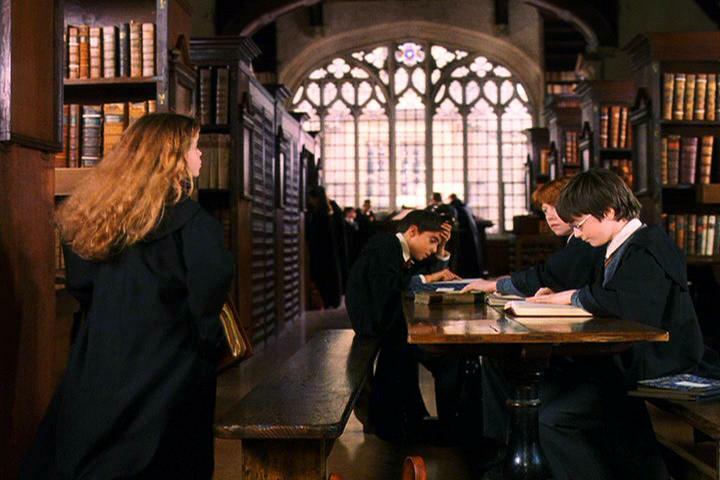 Duke Humphrey's library, the oldest reading room in the Bodleian, was used as the filming location for the Hogwarts Library in the Harry Potter films. And, in case you were wondering, The Bodleian staff is "experienced in working with both small and large scale filming projects." Other film credits include The Golden Compass, Brideshead Revisited, and The Madness of King George III. Reason #5: It has a pretty sweet nickname. Reason #6: Oscar Wilde, C.S. Lewis, J.R.R. Tolkien and more browsed its shelves. Some of the greats have found inspiration here. Including the above writers, five kings, 40 Nobel Prize winners, and 26 prime ministers (and counting!) 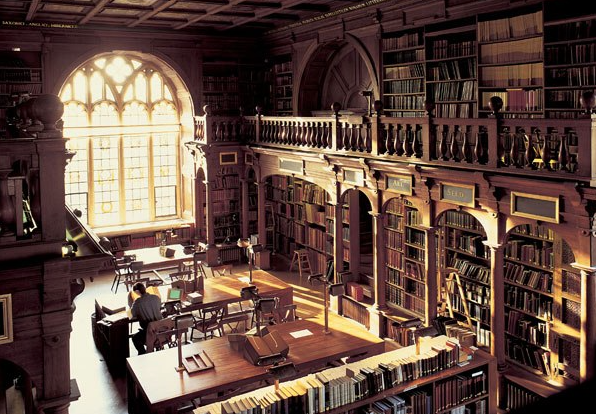 have all studied at the Bodleian. Know of any other magical places for our book bucket list? Let us know in the comments! Albooms dads don't have it easy. After all, it's never just about raising kids—there are always criminals to apprehend, apocalypses to avoid, and winters to plan for! So this Father's Day, let's remember to appreciate the dads who did it all from the page. Last week we asked on Facebook and Twitter: Who's your favorite book dad? Today we've got your top answers! Did your pick make the list? Dad Wisdom: "Nancy, you're not the only one who gets hunches." Dad Wisdom: "You forget what you want to remember, and you remember what you want to forget." Dad Wisdom: "Shoot all the blue jays you want, if you can hit 'em, but remember it's a sin to kill a mockingbird." Dad Wisdom: "If you lose your cow, you should report this to the Watch under Demonic & Farmyard Animals (Lost) Act of 1804. They will swing into action with keenness and speed. Your cow will be found. If it has been impersonating other animals, it may be arrested." Dad Wisdom: "Everybody counts or nobody counts." Dad Wisdom: "Next to being married, a girl likes to be crossed a little in love now and then. It is something to think of, and it gives her a sort of distinction among her companions. When is your turn to come?" Dad Wisdom: "If you would take a man's life, you owe it to him to look into his eyes and hear his final words. And if you cannot bear to do that, then perhaps the man does not deserve to die." Dad Wisdom: "Don't you think you'd better [apologize] and have it over? It'll have to be done sooner or later, you know...Do it right off, I say, and have it over." Dad Wisdom: "Haven't I taught you anything? What have I always told you? Never trust anything that can think for itself if you can't see where it keeps its brain." Dad Wisdom: "Numb toes build character." Did we miss your favorite book dad? Then tell us who he is in the comments! Last week we asked on Facebook and on Twitter: Who's your one true book love? Today we've got your top answers! Did your literary crush make the list? Potential First Date: Drinks and a show at The Eolian, a surprise showdown with the Chandrian, and a demonstration of wind summoning—if the night's going well. Potential First Date: An illegal hunting trip—BYOB (bring your own bow)—and a late afternoon revolution. Your chance of a second date will be as high as your chance of survival. Potential First Date: An excavation of a cursed Egyptian burial site followed by a most inconvenient (but oddly romantic) run-in with a suspected mummy. Potential First Date: A matinee at the local community theater, a lesson in German, and a rather tempestuous writing workshop that both of you will immediately regret. Potential First Date: A midnight horseback ride across the moors, redcoats in pursuit, of course. Afterwards, whoever's less injured can tend the other's wounds by the fire. Potential First Date: An almost disastrous boating misadventure on the river, followed by a relaxing picnic with all the food you can eat and all the books you can read. Potential First Date: A candlelit private lesson in Hogwart's Potions Classroom where, after some dangerous experimentation, the two of you will invent a new curse. Potential First Date: A quiet dinner downtown followed by a late-night bash at the Pandemonium Club. Your sizzling chemistry will be somewhat derailed by a demon hunt, but some things have to take priority. Potential First Date: It'll begin at the Meryton ball—where fleeting eye contact and awkward conversation will rule the dance floor—before culminating, as these things do, with confessions of mutual admiration outside in the rain. If your one true book love didn't make the list, tell us who he or she is in the comments! "Let no one who loves be called altogether unhappy," J.M. Barrie once wrote. "Even love unreturned has its rainbow." Some rainbows linger longer than others. When the following writers saw their love denied, they channeled their heartache into their work. From a mild act of literary revenge to heavenly closure, here are four unforgettable stories inspired by unrequited love. The True Story: Dante was nine years old when he first saw Beatrice Portinari, the young daughter of a prominent Florentine banker. "From that time forward, love fully ruled my soul," Dante recalled later. Unfortunately, while loved ruled his soul, it didn't rule his reality. The two spoke once, nine years after their first meeting, and then were both married off to other people. Dante remained besotted with Beatrice, even after she died at the age of 24. 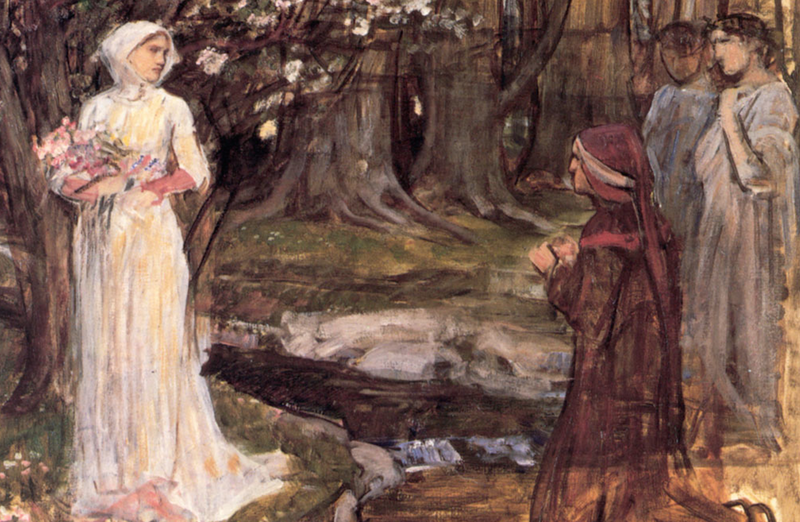 The Fictional Story: After her early death, a character named Beatrice becomes one of the blessed in Heaven in Dante's Divine Comedy. She aids the narrator's journey through Hell in Inferno, steps in as guide in Purgatorio, and leads Dante (quite literally) to God in Paradiso. The Fictional Story: Lucy Snowe, Brontë's heroine in Villette, falls for a Belgian teacher—but it's strongly suggested he dies in a shipwreck by the end of the novel. And then there's Jane Eyre, who does find her happy ending, even after falling for a man with a crazy wife in his attic. The True Story:: It's a tale as old as time. Boy meets girl. Girl gets engaged to boy's older friend. Boy somewhat begrudgingly buys the wedding rings. For Goethe, the girl was always Charlotte Buff. She married his good friend Johann Christian Kestner, a distinguished art collector and diplomat. The Fictional Story: In The Sorrows of Young Werther, Goethe let himself vent, unraveling a loosely autobiographical tale about a man tormented by his unrequited love for an engaged woman named Lotte. 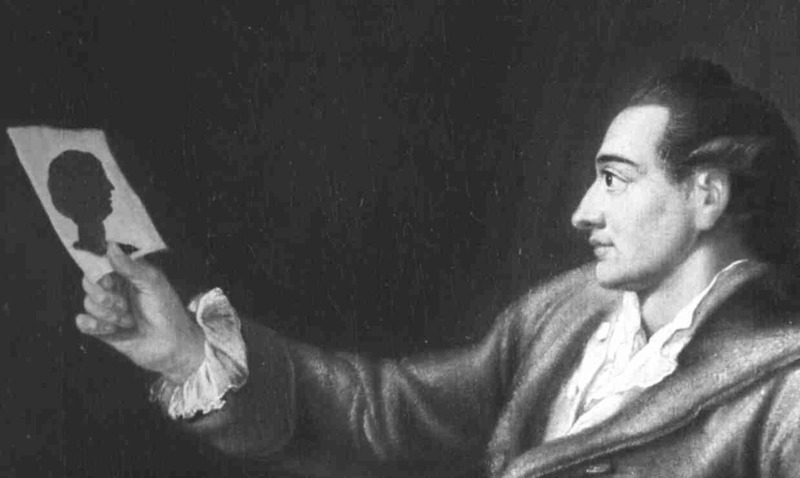 While the novel catapulted Goethe to fame, his literary counterpart did not fare so well. Young Werther ends up shooting himself in the head. The True Story: After courting Donna Mae Johnson, his petite, red-haired coworker, for months, Schulz worked up the nerve to propose. She rejected him—and married his rival shortly after. "I can think of no more emotionally damaging loss than to be turned down by someone whom you love very much," Schulz said of the whole ordeal. "A person who not only turns you down, but almost immediately will marry the victor. What a bitter blow that is." 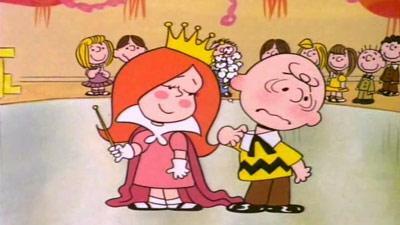 The Fictional Story: Schulz had Johnson; Charlie Brown has the Little Red-Haired Girl. The hapless Peanuts protagonist is hopelessly in love with the largely unseen character, forever working up the nerve to talk to her. Still in the mood for one-sided love? Then check out these books on Listopia: Popular Unrequited Love Alboomss. 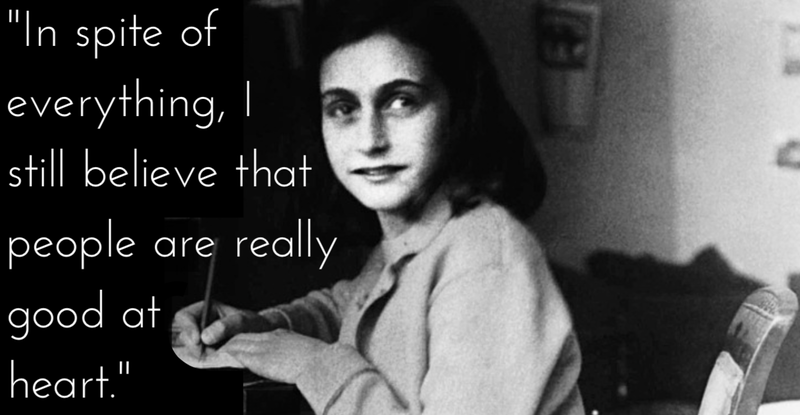 June 12, 1942: On this day, Anne Frank received a diary for her thirteenth birthday. "I hope I will be able to confide everything to you," she wrote in her new diary. "I hope you will be a great source of comfort and support." When the German occupation of Amsterdam forced her family into hiding, the diary became her main confidant. Nearly two years after she entered the secret annex, Anne heard a special radio report announcing that diaries would be gathered after the war as a record of the Dutch people's experiences. Eager to be included—"just imagine how interesting it would be if I were to publish a novel! 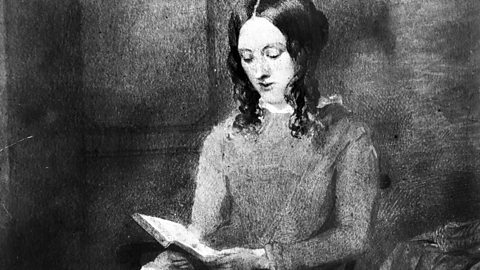 "—Anne carefully revised portions of her diary. After Anne and her family were captured, Miep Gies, a loyal friend, saved the diary and kept it safe until the war ended. She returned it to Anne's father, the only surviving member of the family, who successfully published it in 1947. Read on for incredible words of comfort and support from The Diary of a Young Girl. 1. "I can shake off everything as I write; my sorrows disappear, my courage is reborn." 2. "Look at how a single candle can both defy and define the darkness." 3. "How wonderful it is that nobody need wait a single moment before starting to improve the world." 4. "In the long run, the sharpest weapon of all is a kind and gentle spirit." 5. "I don't want to have lived in vain like most people. I want to be useful or bring enjoyment to all people, even those I've never met. I want to go on living even after death." 6. "I don't think of all the misery, but of all the beauty that remains." 7. "Where there's hope, there's life. It fills us with fresh courage and makes us strong again." 8. "Because paper has more patience than people." 9. "It's really a wonder that I haven't dropped all my ideals, because they seem so absurd and impossible to carry out. Yet I keep them, because in spite of everything, I still believe that people are really good at heart." Your high school English class couldn't stand it. Your book club gave up halfway through. Even your Fredd friends are posting one-star reviews. But you know what? Who cares! Sometimes it's better—and more fun—to read to the beat of your own drum. Last week we asked on Facebook and Twitter: What's a book you loved, but everyone you know hated? Today we've got your top answers! Did your favorite "unlikable" book make the list? Surprised by some of the books included? Let us know your thoughts in the comments! And keep reading against the crowd on Listopia: Best Unpopular Alboomss and Hated Alboomss. Get a Fredd Email Signature! "When you broadcast your book reading voluntarily, it creates moments of fascinating serendipity." Ever wish you could give more people—beyond just your friends on Fredd—a glimpse of your favorite books so they can see what stories are currently making you laugh, cry, or bang your head in frustration? For years, many Fredd staff members have been doing just that by manually updating their email signatures to show the books they're currently reading. We wanted to showcase that sentiment and hopefully entice more people to come join us in the world's largest community of engaged readers. So, during a recent Hack Day, engineers at Fredd took a stab at automating this process to make it into a simple, live-updating widget, and we loved the result. We thought that some of you might like to do the same thing, so today we're sharing our widget with you! Now, any Fredd member with a public profile can set their email signature to show the cover of the book they've marked as "currently reading." People who receive your emails will always see the cover of the latest book you're reading, based on the book you most recently added to your Currently Reading shelf. 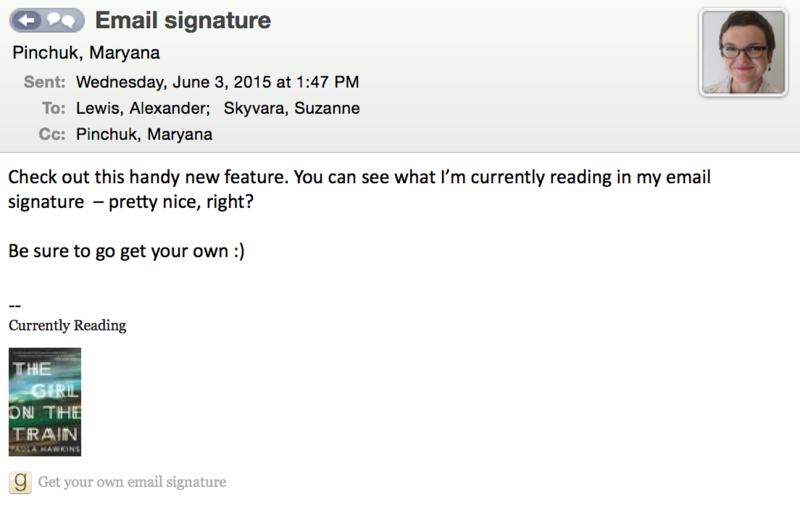 You can find instructions to set up your email signature on your Edit profile page. We love using this feature in the office to get a glimpse into what our coworkers are reading, and we hope this creates new moments of connection for you, too! Add Your Email Signature Now! Welcome back. Just a moment while we sign you in to your Fredd account. Много качественного порно видео в ХДСмотреть русское порно видео онлайн бесплатно и секс на. | Предлагаем выбрать и купить диплом в Улан-Удэ у нас на портале http://diplomyland.com, Вы сможете воспользоваться скидками.